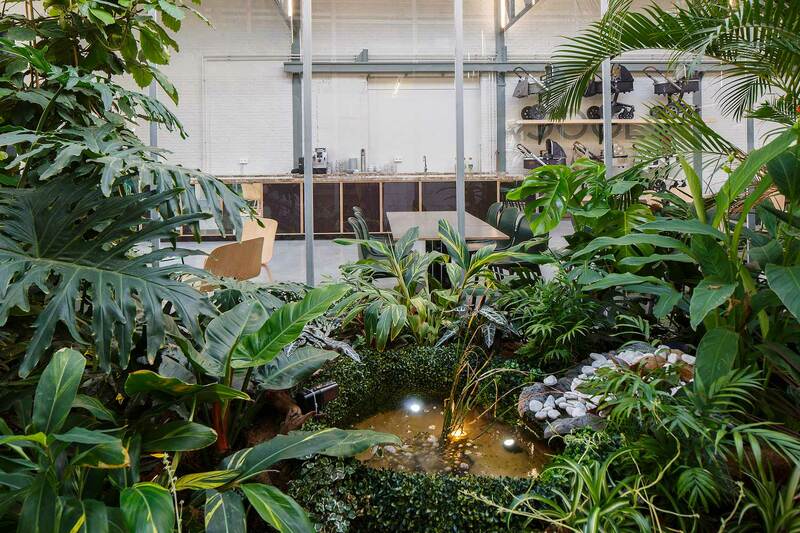 JOOLZ HQ in Amsterdam With Lush Internal Courtyards by Space Encounters. We’ve come to understand workspace design to be of a new order. We no longer expect to see executive offices hogging all the available window space, while the ‘workers’ sit in workstation cubicles under depressing florescent lighting. We no longer expect to see kitchens in small, poky rooms, big enough in which to put a laminate table complete with miserable plastic chairs. It’s enough to choke on your sandwich as you drink your crappy instant coffee, made from the then ubiquitous steel urn, taking up most of the bench space. No we have far grander expectations these days. Open plan for starters; desking solutions where the head of Google can swivel around in their chair and speak to their colleague next to them. No exclusive corner offices here. 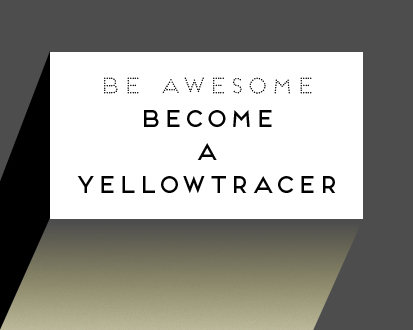 Heads of industry actively want to be part of the team. They want to see the workspace in action. Meeting areas that converge into café style spaces. Reception areas that cohabit, and engage with the general open plan workspace. 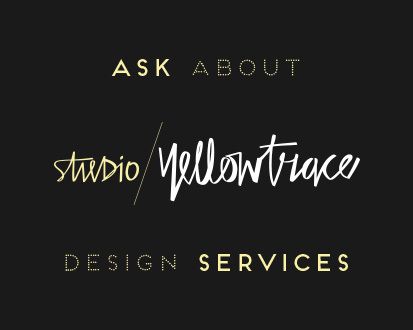 High ceilings, exposed ductwork, polished concrete, or beautifully articulated timber panelling, and lighting that has been specifically designed throughout. Quiet spaces for thinking, communal benches to sit perched at with laptops for engaging, dynamic discussions. And kitchens that are more akin to wine bars and restaurants that are as inspiring to look at as to hang out in. All this we have come to expect. But what differentiates HQ by the designers at is its connection to the outside world. Not in the sense of taxis hooning past. But by it’s connection to nature. By connecting our senses to nature. See more awesome Workplace Design on Yellowtrace. We know how good it feels to walk barefoot in the grass. To recline under a tree and rest up against it, reading a book. We know how good plants feel. How good being in nature feels. But we’re not used to that in a workspace environment. 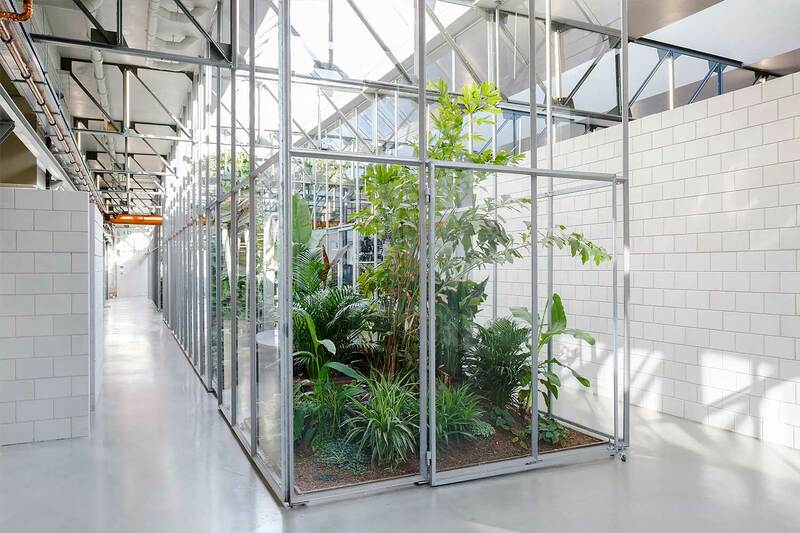 Whilst architecture has embraced greening entire exterior of buildings, inside, in our workspaces, we have yet to go there. The best version of plant life that office interiors have experienced thus far, has been by implementing it as ‘design element’. A vertical wall of green plants. 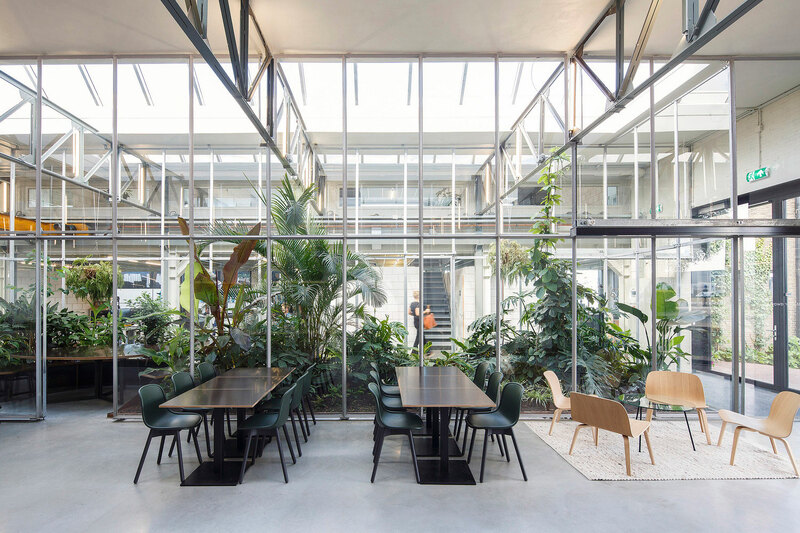 A section of ceiling, a grid suspended over a feature area, with greenery draping through and beyond it. These are merely additions though. They are nifty design inclusions. But there is no submersion. These are articulated elements that lack a wholeness to their connection with nature. It is of course better than the ‘old world order’, with their once omnipresent, fake, green plants. There is something remarkably depressing about plastic plants. Their all too shiny, green leaves, bizarrely thriving in rooms devoid of natural sunlight and windows steadfastly shut against the rain and elements. At least the ‘new order’ have been trying to make green a genuine inclusion. 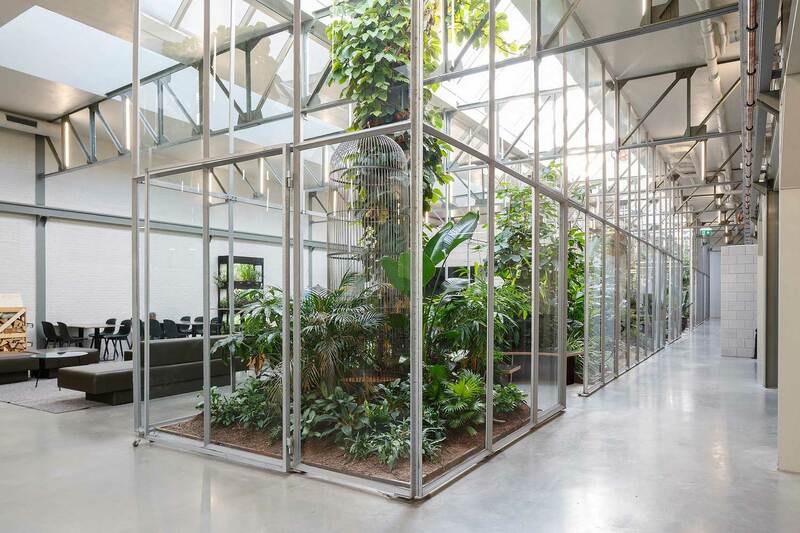 It is however, the design of this workspace in Amsterdam that has taken green and made it an immersive experience. 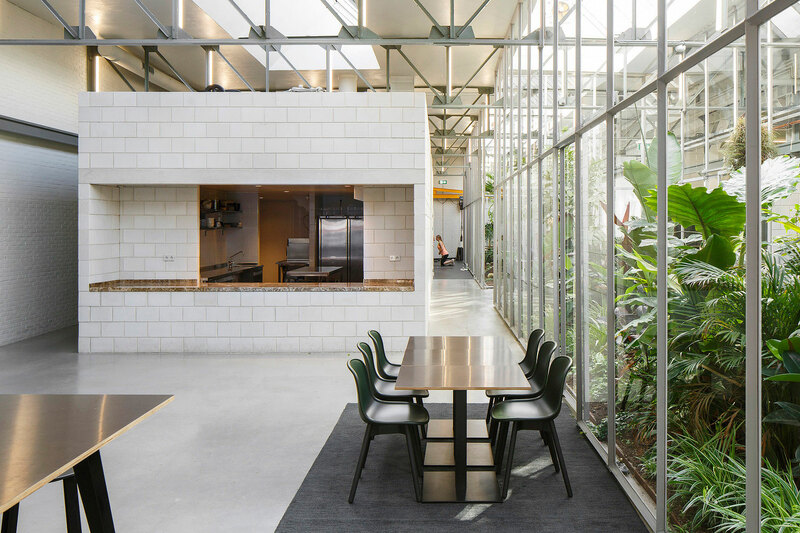 Bringing nature inside has been a pivotal part of the stunning reconfiguration of the old 1970’s building they call home. The 1600m2 space started out life as a fairly grim looking industrial hall. Steel roller doors punctured the elevation on the ground floor and soulless, thick-framed aluminium windows looked down from the second story to the street below. The only thing of architectural merit was the liberally sprayed graffiti that showed that at least someone was interested in the dingy building, albeit probably for no longer than the twenty minutes it took to tag it. , producers of ergonomic pushchairs, is a fast growing Dutch company. They had an ideological agenda when it came to designing their workspace. Ideology, as we well know, can be a tricky to implement in design. Not so for them or the designers at Space Encounters who have been nominated, rightly so, for the Arc Awards 2016. They started by ripping out the exterior roller doors and windows, keeping just the brickwork to hold the place together. The rabbit warren of internal walls were pulled down to expose a double-height space with original steel truss work in the ceiling. It was a barebones floor plate worthy of envy. Photo courtesy of Space Encounters. 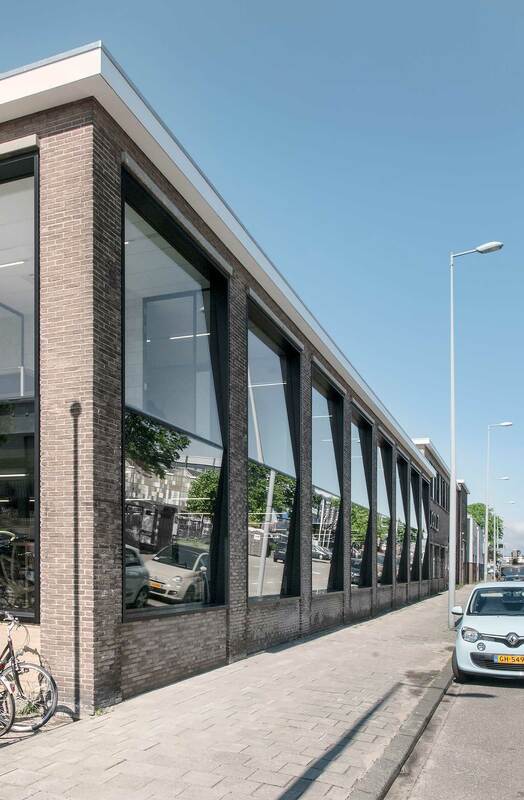 Replacing the dire façade with tall, oblique windows has made the front and side elevations appear to warp as the glazing angles sharply inwards. 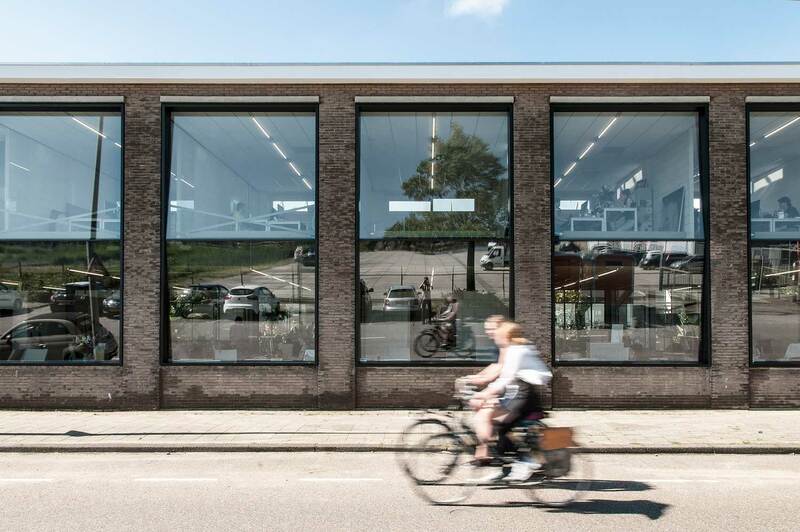 It is a stunning effect, in one, modernising the exterior and then adding to the transparency of the space from both the inside and the outside. Transparency. One of JOOLZ’s ideologies. Tick. Step into the space and the now shiny, aluminium ceiling trusses sit proud of the white plasterboard ceilings, complete with skylights flooding the entire space in bright light. But it is the series of internal courtyards, framed by equally shiny aluminium, double-height, framed glazing panels that takes your breath away. Inside of each of these cubed courtyards is a green haven. Exposed to the elements these plants and tress grow willingly, breathing not just oxygen into the space but awe. 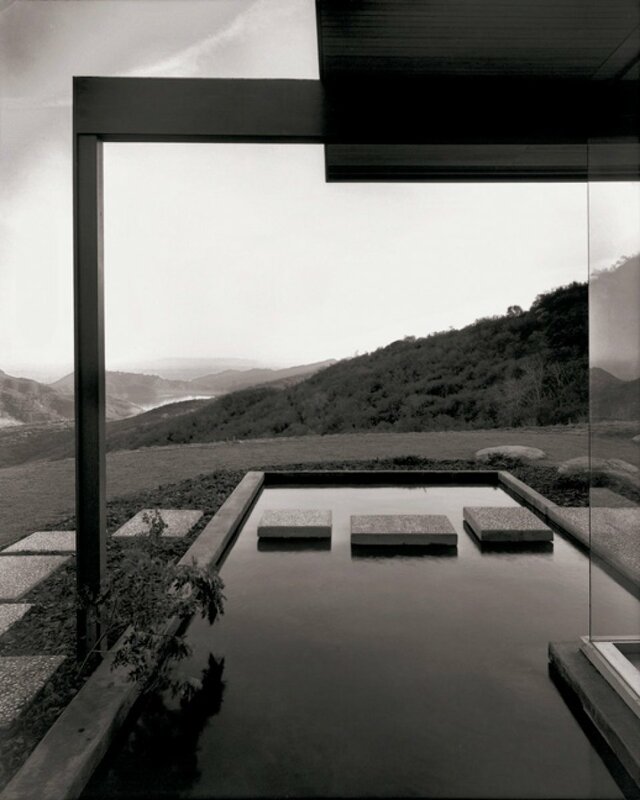 One might expect tranquillity, or calmness from this stunning combination of simple lines of steel, sheets of glass, white polished floors and a sanctuary of green. But in truth, it goes far beyond tranquillity; it is an ongoing experience of wonder. Does it meet their ideology of positive design? You betcha. Tick. Related Posts: Trees in Interiors, Part 01 and Part 02. The entire space is an amalgamation of positive design. 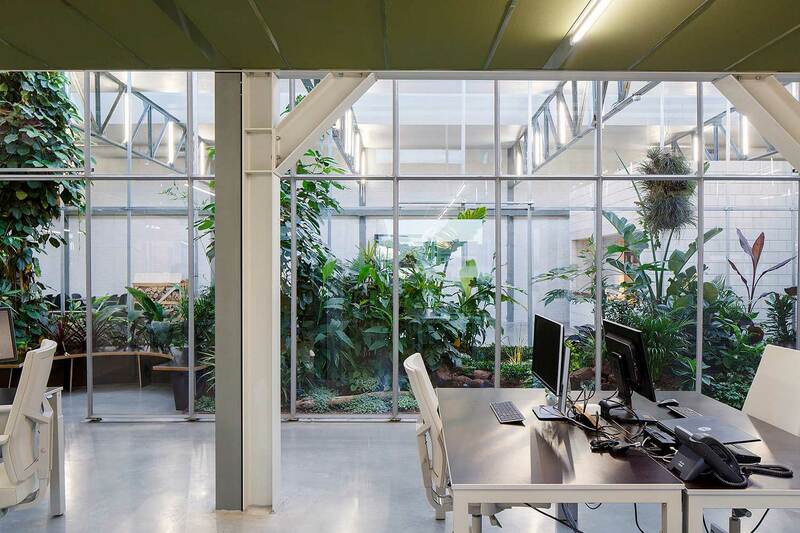 Open plan desking looks onto multiple courtyards, as though you’re overlooking a lush, green garden. Informal meeting spaces in beautify designed oak armchairs or long reclining lounges, sit near the glass walls enabling participants to enjoy the courtyard beyond them. But the real beauty of this design is not the magic of being able to work whilst looking at these courtyards, but actually working inside one. Meeting tables sit inside these enchanting spaces where you can completely submerge into an unexpected but delightful refuge of greenery. JOOLZ HQ has all we have come to expect from the ‘new order’. The beautiful selection of finishes. The well thought through open plan design. The informal meeting areas. The uber cool kitchen/café. But what it offers is so much more. It offers the ability to connect to our natural world whilst at the same time enabling us to be fully present in the digital world. If this is the new template for workspace design, then we have truly started a new version of what is next for our working lives. If it took 30 years to get people out of offices, hopefully it will take far less to encourage companies to take off their shoes and walk barefoot in the grass. FedEx Works by Walead Beshty: Shipped Glass Boxes Become Shattered Sculptures. Trending Terrazzo by Bottle-Up Made from Recycled Glass Waste.